I have heard of strudel... but to be honest, I have never really been sure exactly what it was? I imagined some kind of pastry.. in my mind it was a German or Dutch thing... not really certain of any more details beyond that. 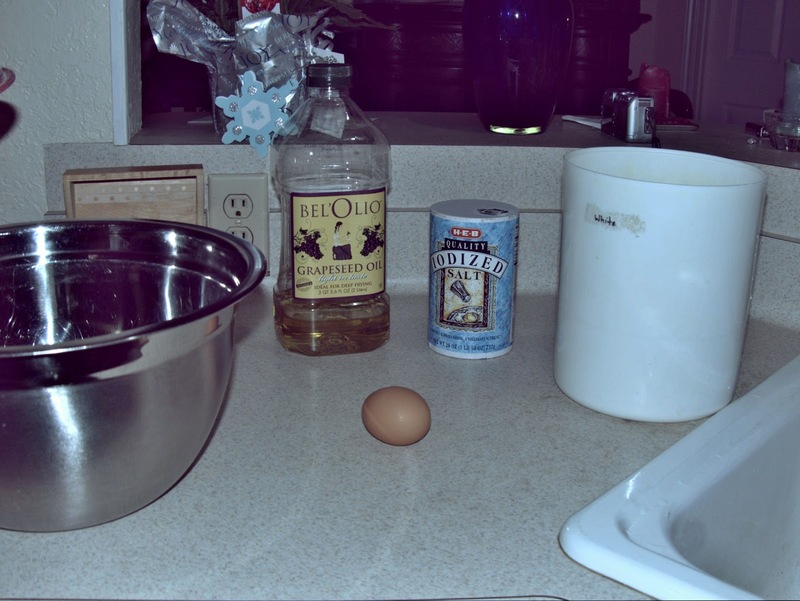 Even having gone to pastry school.... it wasn't something we learned about so I still had no idea what it was and never thought much about it. While visiting with my friends David and Hanna recently, the topic of strudel came up (as I'm sure it does often for you, right?). It is something David grew up with. His dad used to make it all the time and, in turn, he learned to make it. I was so intrigued by it. When he described what it was... and, oh my, how you make it... I found it all so fascinating. 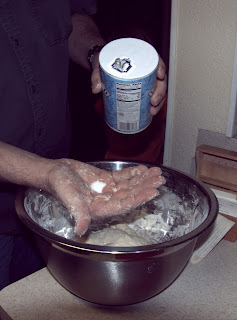 Upon discovering that friends of mine often made authentic strudel, I managed to persuade them to come on over to my house and show me how it's done..
Knead water and flour together to make a stiff dough. 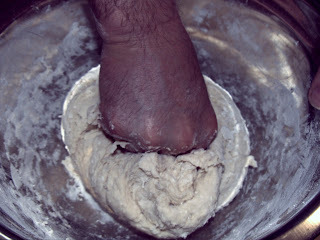 Add salt after about 10 minutes of kneading. APPLES! LOTS AND LOTS OF APPLES! 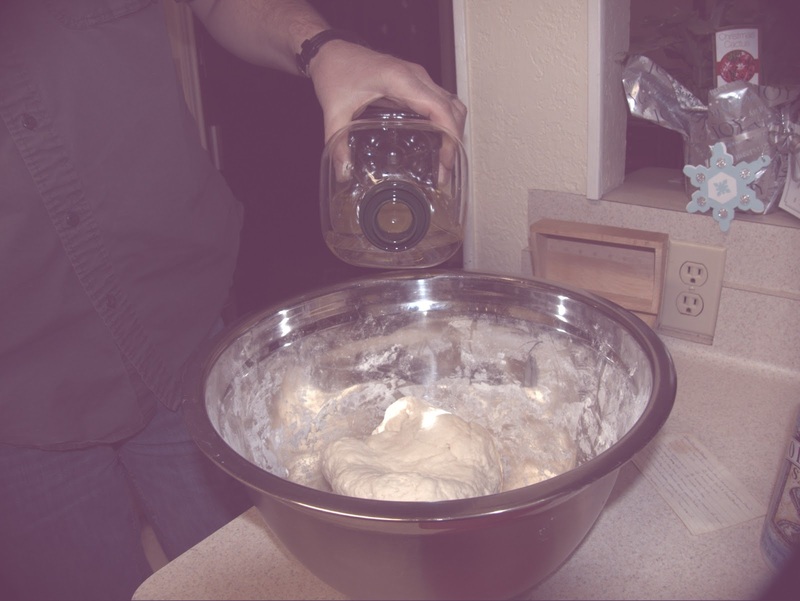 And now you begin working the dough... you have to gently stretch the dough very thin... so thin you could just about read through it! 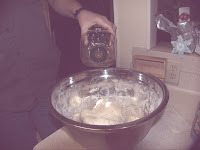 This is David... beginning to stretch the dough. And now stretching to the point of needing two people! See how tiny the apples are chopped? After securing the beginning of the roll, David picks up the sheet and gently allows the strudel to roll itself! I really wish I had gotten video of this part... it was truly fascinating.. and very quick! 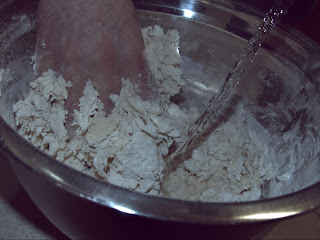 A very dramatic moment as the strudel gets flipped onto the baking sheets. The inside of the freshly cut strudel..
Plated and served with vanilla ice cream... it was A M A Z I N G! A Big THANKS to David and Hanna for sharing this experience with me... it was so much fun and the end result was definitely worth the effort! How fun! The strudels look delicious! Mmmm! Now I want to eat strudel again. Hanna, I had the exact same response! Uhm, somewhere in there, the adding the egg to the dough got missed. It sure did! And I even had to go and search for that photo specifically... hmmmm... also, since I've got you here ;).... what is the quantity for the water? Thank! You ask good questions! Sadly, I haven't an answer for you other than enough. 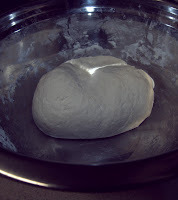 I start with a cup or two of water and then just add water bit by bit until the dough starts to form up then stop and see if I need to add more as I keep kneading it. 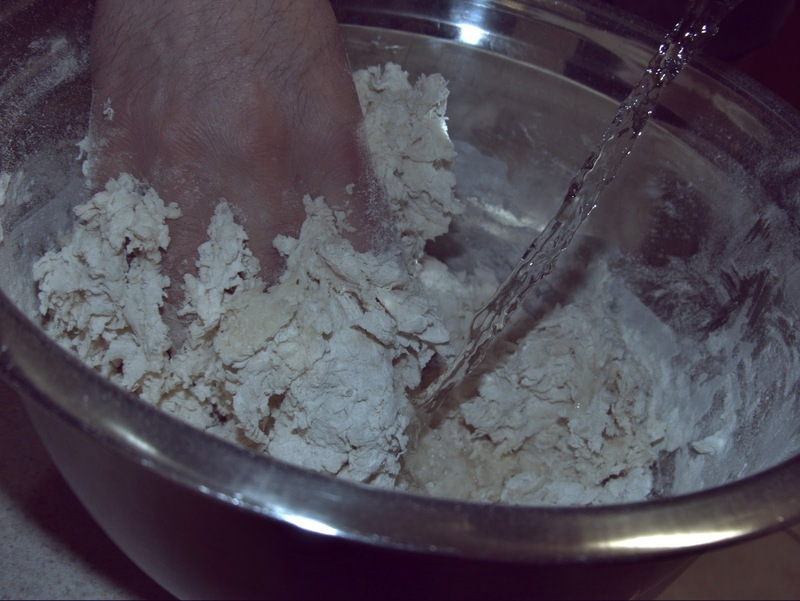 I tried to quantify the water amount some time back, but learned it depends on the flour, the strength of the kneader, the phase of the moon and the number of comets the sun melted in the past 100 years. Then I gave up and just go by eyeball and dough texture. Now I am hungry for strudel!? !